However the pedestrian experience of the Safeway, when standing across the street, is not so monotonous. At that distance, there is a feeling of some architectural articulation. 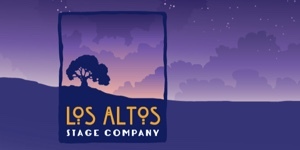 After new large developments in the last 3 years, many residents have complained that Los Altos First Street has become “a canyon.” In response, Councilmember Megan Satterlee formed and led an ad hoc Downtown Buildings Committee. 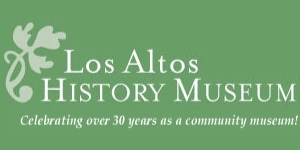 One of its recommendations was to increase sidewalk width and building setbacks for new future development along Los Altos First Street. What did the committee members see during their investigation? Is their recommendation economically feasible? 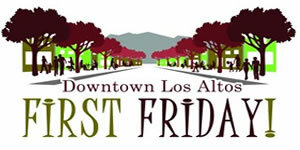 Lalahpolitico walked the section of Los Altos First Street that stretches from Edith Ave., heading south past the new Safeway building to the gas station at Main Street. I walked the “new” side, that is the side next to Foothill Expressway. I paid close attention to the width of the sidewalk and to the “feel” of actual and perceived “closeness” of buildings. If you haven’t walked the north end of Los Altos First Street for a while or ever, here is what it looks and feels like as of January 2016. FIGURE 1 – Lalahapolitico is standing at the beginning of the new 400 Main condo complex. The lens was a bit wide angle here, so the Safeway in reality is not that far away. Figure 1: Lalahapolitico is standing at the beginning of the new 100 Main Street condo complex. The lens was a bit wide angle here, so the Safeway in reality is not that far away. The sidewalk is estimated to measure almost 6 feet with the curb. The retaining wall is about 3 foot high. I’m tall so it was not too pressing. The plantings behind it were quite attractive to view. FIGURE 2 -Here Lalahpolitico is standing at the the middle of the 400 Main Complex by its lobby door. The camera lens is “normal” not wide, so distances are accurate to the human eye. Figure 2: Here Lalahpolitico is standing at the about the middle of the 100 First Street condo complex by its front lobby door. The camera lens is “normal” not wide, so distances are “accurate” to the human eye. A father with a stroller demonstrates that the sidewalk has been made a bit narrow for 2 people walking abreast. It’s partially because of the charming street trees on the left . Life has tradeoffs. However the 3 foot tall retaining wall on the right limits the peripheral “view” for short people. What is the toddler in the stroller seeing? FIGURE 3 -Lalahpolitico is here standing almost at the end of the 100 First Street condo complex. Notice how the sidewalk ahead at the next building, 106-110 First, is much wider. Paserrelle Investment acquired it in the last decade. Figure 3: Lalahpolitico is here standing almost at the end of the 100 First Street condo complex. Ahead lies the driveway of the next building, mixed retail/office use, (built in the 1990s?). Clearly the frontage sidewalk from the 1990s is almost twice as wide as that in front of the new condos at 100 First. Note the man walking with the stroller — there is room for a mommy to walk alongside. Passerelle acquired this property about a decade ago.. FIGURE 4 – Man with stroller encounters a narrow sidewalk again.